A free family friendly community event at Dignity Memorial Park! 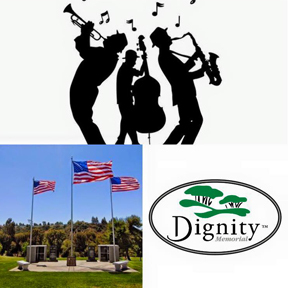 Enjoy a fancy continental brunch with friends and family on the beautiful and peaceful grounds of Dignity El Camino Memorial Park! You’ll be entertained by the students of IAJSD! Every family attending will receive a free gift – a Dignity picnic blanket that can be enjoyed all summer long! Our brunch spread will include: Fruit, croissants w/butter & a variety of jellies, quiche (spinach, bacon or mushroom), baguettes w/a selection of cheeses, baked Brie w/raspberry en croute, orange juice, coffee and water.